This is so easy we're baffled that more people don't do it. Alton Brown, the patron saint of home-cooking hacks, has already upped our grilled cheese game. Now he’s taking our PB&J next level by showing us how to make peanut butter with just a wok and a food processor. His idiot-proof method involves frying—not roasting—the nuts in oil for extra flavor; he also suggests kicking it up with chocolate or chili oil at the end. 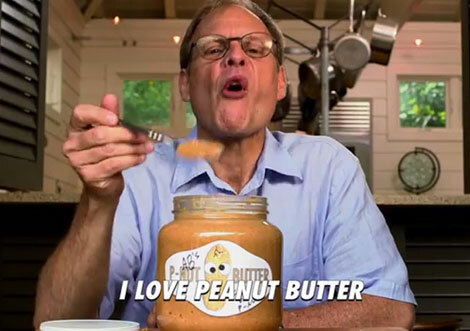 Best of all, we now know that Alton Brown prefers crunchy over smooth. Respect.